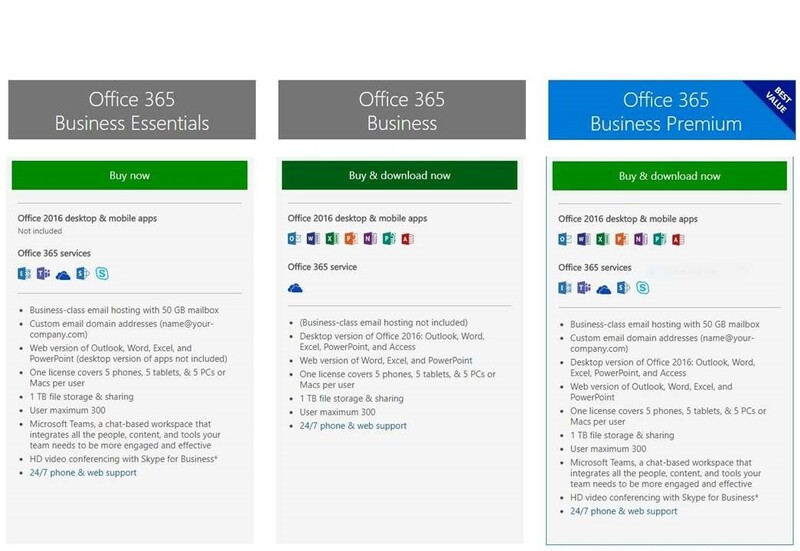 Welcome to Office 365, built for your business! It's the Office you know, plus tools to help you work better together, so you can get more done — anytime, anywhere from as little as €4.55* per month! With options ranging from Office 365 Business Essentials at starting at €4.55 per user per month, to Office 365 Business Premium and up to Enterprise Plans, there is an Office 365 plan to suit all businesses. Office 2016 desktop & mobile apps NOT included. All the features of Office 365 Business Premium plus security and compliance tools, such as legal hold, data loss prevention, and more. Whether you’re on Exchange Online, Microsoft Office 2007, buying a new PC or Laptop and need Office, moving old emails from POP3 in to the Cloud, considering moving your business in to the Cloud and want to make the first step, Office 365 has an option to suit your business. 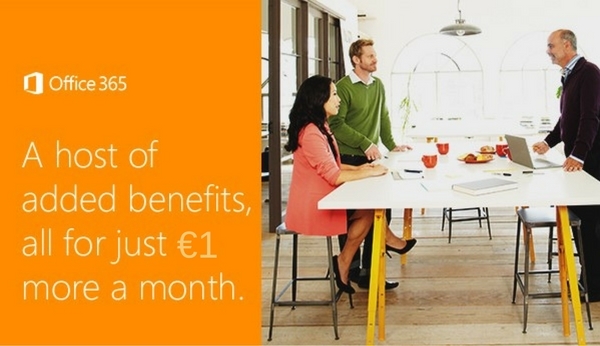 Learn more about how easy it is to move your business to Office 365 for as little as €4.55* per user per month.